The fly problem is a never-ending part of keeping livestock during the warmer months. 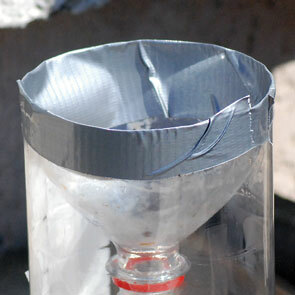 The use of fly baits, fly predators and commercially made fly traps can help eliminate some of the fly population. Usually, I purchase several of the commercial "trap and toss" type flytraps and hang them in the trees. 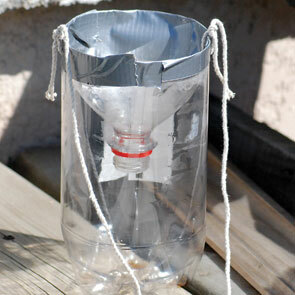 This year, with the price of everything but flies going up, you might want to make your own traps. and one produced the most success. Make the solution in the amount you need in order to fill the number of constructed traps. Fill each bottle to about 1⁄2" from the inverted opening. Fly Bait Recipe: water, about 1 cup white sugar, some vinegar to keep bees from being attracted, a couple of drops of dish soap and part of a banana peel. There are other recipes for homemade fly bait on the internet, and you can try some variations to see what works best in your area. Using a small bit of raw hamburger in water will work for some species of carrion flies. 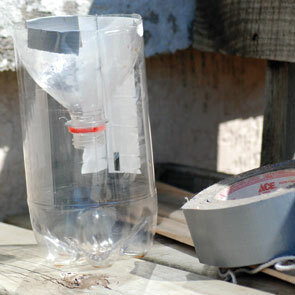 You can also purchase fly bait liquid and add this and water to your homemade traps if you don't want to mix your own. The flies go in, thinking they have found fly nirvana, but have a hard time finding the opening to escape before they tire and drown. 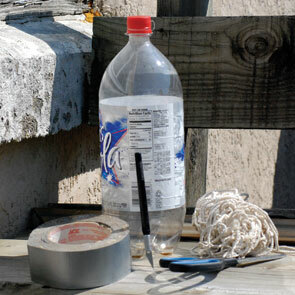 Here is what you need: a 2-liter plastic bottle, an Exacto® or utility knife, duct tape, scissors, and some string or wire. Begin by dividing the bottle into two pieces. At the top of the label, start a lit in the plastic bottle. 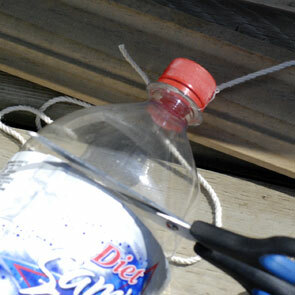 Using the scissors, continue to cut around the bottle next to the top of the label, until the top of the bottle is removed. 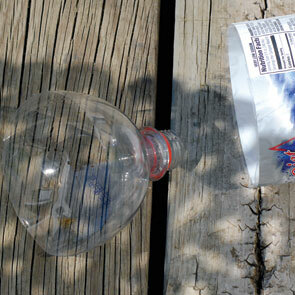 Remove the cap and invert the top of the bottle, spout down, into the rest of the bottle. 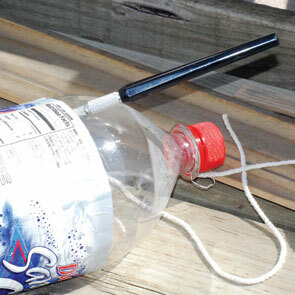 Secure the inverted top, now made into a "funnel" to the base of the bottle with duct tape. Continue to tape the seams of the top with the duct tape. With the Exacto® knife or a leather hole punch, make a hole on each side of the bottle and thread a piece of string or wire long enough to hang the trap. Bethany Caskey of Albia, Iowa is a frequent contributor, artist and oh so much more. This article appeared in the August/September 2012 issue of Rural Heritage magazine. This file last modified: June 18 2018.